CLEVELAND, OH — All week long, I have had the honor of introducing you to the newest in smart technology to keep your world more connected. Yesterday is was all about smart sleep tech. Today, it's smart tech for those on the go! How do you capture your best videos or photos? Is it through your smartphone? Then you probably know your smartphone not a broadcast-quality camera system. Today, one accessory can upgrade your phone and how you share your content. 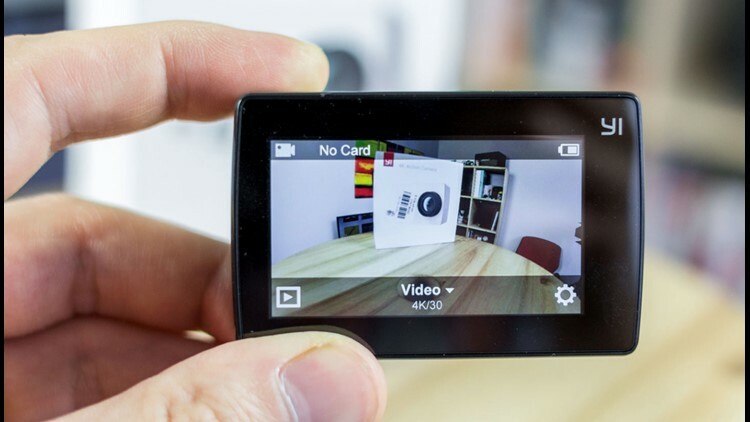 You've heard of dash cams, you've heard of action cams and today one brand-new-to-market gadget can essentially make your smart phone a GoPro for 1/4 of the price. I've tested countless action cams and life proof HD cameras over the last year and while they all bring some tremendous features to the tech world, very few actually sync and work with your smartphone. Today, for the first time ever at under $100, this Smart Tech HD caster can capture all of your families and then stream the content back to your smartphone so you can post it to Instagram, Facebook, YouTube or any other social media network you choose. The Smart Tech HD caster also can mount a camera to you, a helmet, boat, vehicle or other moving object. It's also palm sized and waterproof. It captures broadcast ready footage at one-quarter the cost of a GoPro. Your smartphone isn't life proof but my favorite smart tech gadget deal today can capture that footage and then share it straight back to your phone. Footage doesn't get any better than this for under $100! Click the play button to see the footage we captured.